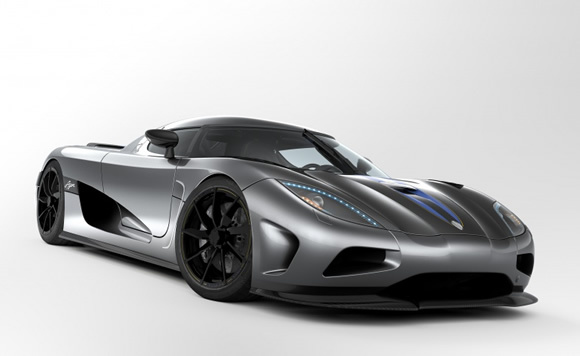 The new Koenigsegg Agera is a beautiful looking car. New for 2010 Koenigsegg have done an amazing job on the Agera. Check out the interior. It is really quite something. Very well finished and without some cheap arse components you will see in a Ferrari. If you ever get a chance to look in a 599 you will see what I mean. It looks like they spent all the money on the dash and steering wheel. Agera is the Swedish verb for 'act' and I'm thinking you would act quite silly if you got your hands on one of these. Twin Turbo's, better breathing, and 910hp help make sure the Agera 'acts' like the proper supercar it is. 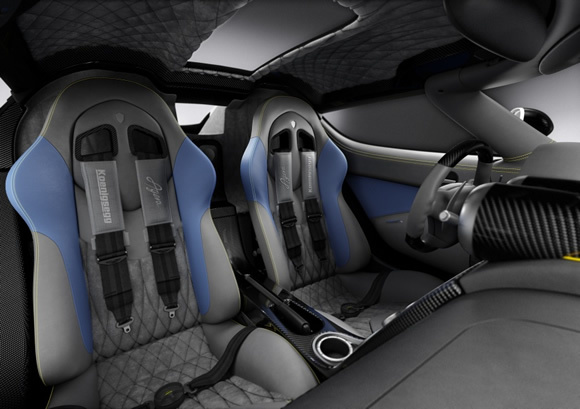 Plus Koenigsegg say it has the largest luggage space of any supercar. How many guys would be taking their wives out for a drive in this? Not many. On the website they have a video with it starting up at the beginning. Sounds great. Can't wait to see the Top Gear track test.